Over the last two decades the expanding role of Southern countries as development partners has led to tectonic shifts in global development ideas, practices, norms and actors. Researchers are faced with new questions around identity, power and positionality in global development. Researching South-South Development Cooperation examines this rapidly growing and complex phenomenon, asking to what extent existing assumptions, conceptual frameworks and definitions of 'development' need to be reframed in the context of researching this new landscape. 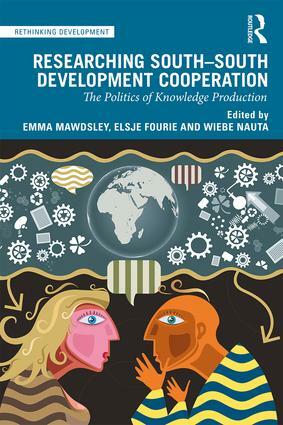 This interdisciplinary book draws on voices from across the Global South and North to explore the epistemological and related methodological challenges and opportunities associated with researching South-South development cooperation, asking what these trends mean for the politics of knowledge production. Chapters are interspersed with shorter vignettes, which aim to share examples from first-hand participation in and observation of South-South development cooperation initiatives. This book will be of interest to anyone conducting research on development in the Global South, whether they are a practitioner or policy maker, or a student or researcher in politics, international development, area studies, or international relations. Rethinking Development offers accessible and thought-provoking overviews of contemporary topics in international development and aid. Providing original empirical and analytical insights, the books in this series push thinking in new directions by challenging current conceptualizations and developing new ones. This is a dynamic and inspiring series for all those engaged with today’s debates surrounding development issues, whether they be students, scholars, policy makers and practitioners internationally. These interdisciplinary books provide an invaluable resource for discussion in advanced undergraduate and postgraduate courses in development studies as well as in anthropology, economics, politics, geography, media studies and sociology.